Edenbridge Tennis Club (ETC) was founded as a not-for-profit corporation in 2018 as a direct result of the closing of James Gardens Tennis Club. The new club emerged as a true grass-roots effort of several passionate individuals who came together to figure out a way to keep their club alive. The executive is formed from a few long-time (18+ years) members of James Gardens and several new individuals who are all extremely passionate about the opportunities that lie ahead for the club. Edenbridge Tennis Club will be operating on the four courts located at the site of the now defunct James Gardens Tennis Club due to its prime location. These courts have been a community staple for over 45 years. 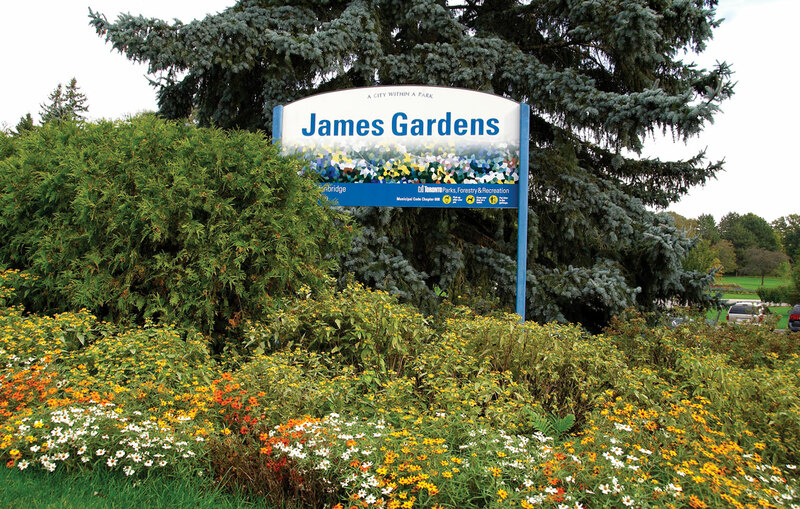 Located in the heart of Etobicoke's James Gardens Park, the tennis club is nestled next to the Humber River. With hills and heavy foliage, the club is perfectly situated for tennis due to its shelter from both wind and noise. The courts are so well tucked away in fact, that it is common to see deer and other wildlife near the courts. © 2019 Edenbridge Tennis Club. All Rights Reserved.